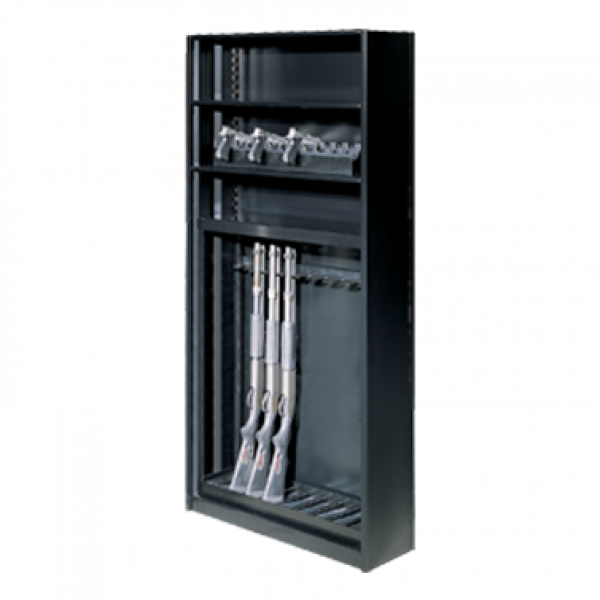 Weapon Rack III Works Well with Existing 4-Post or Case-Type Shelving. 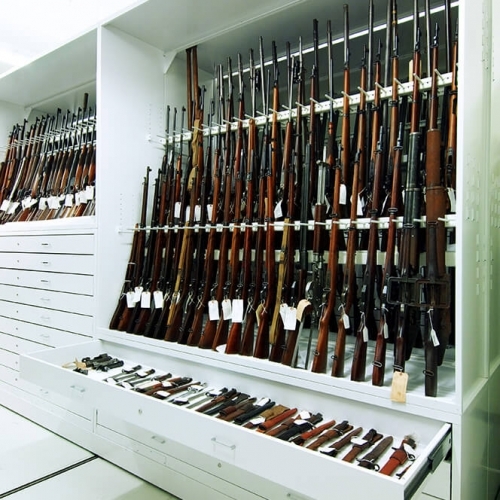 Weapon Rack III transforms existing 4-post shelving into an instant weapons storage solution for long guns and pistols. 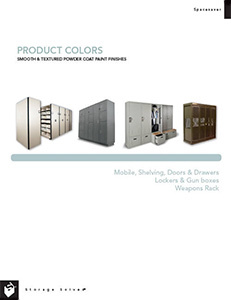 Each Weapons Rack III Kit includes one base plate (powder-coated in any standard color with black rubber stock pads)and one black vinyl coated barrel rest. 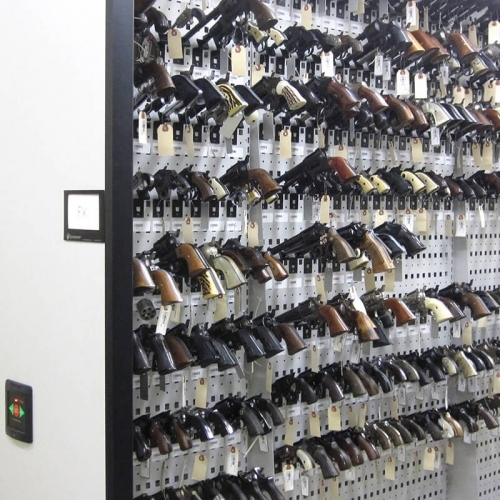 Learn more about securely storing firearms in existing shelving. 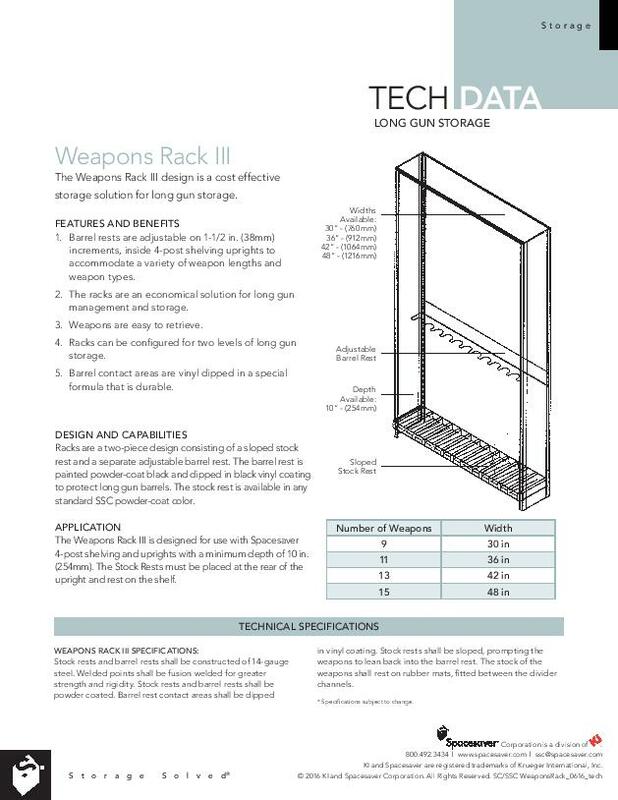 Supersize your weapons storage by using Weapon Rack III with mobile shelving. 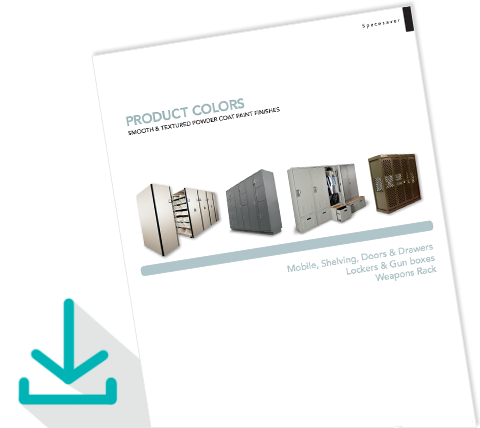 Multiple storage configurations for any type of small arms – rifles, shot guns, hand guns, tasers, M4, M16, AR-15, MP5, M249, M240, etc.